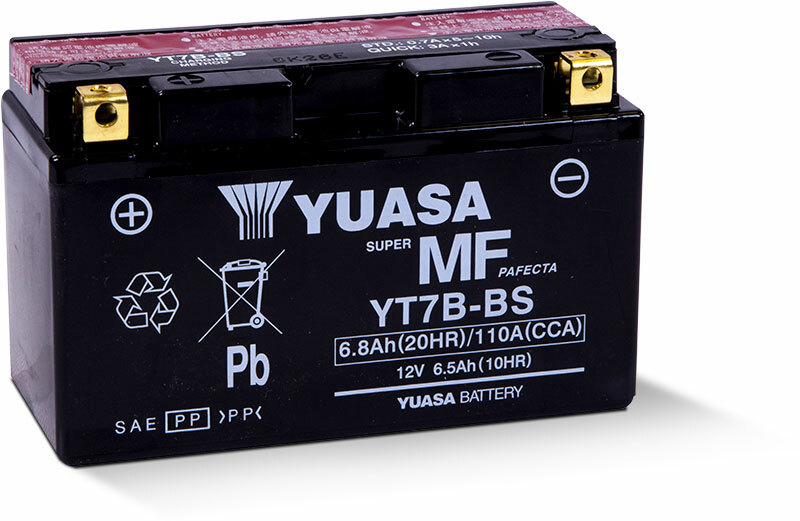 Yuasa is the world's largest manufacturer of batteries and has 50 years of expertise behind its product. Yuasa’s elite performer, the AGM series, has more cranking amps and higher amp hour capacity for years of trustworthy service. Absorbed Glass Mat (AGM) batteries look different from typical powersports batteries because they are built differently. This advanced battery design eliminates water loss. Once these batteries are filled with acid, you’ll never need to fill it with water or check the acid level. This specific line is optimized to run strong without maintenance. Essentially this is the ultimate “set it and forget it” battery. This AGM battery line is virtually maintenance free. All of the acid is absorbed in the special plates and separators, so you never need to worry about acid leaks harmful acid leaks. This proves especially crucial for vehicles where acid leaks could occur such as ATVs, watercraft, and motorcycles. This AGM battery line is ideal for seasonally-used vehicles such as watercraft and snowmobiles. While a long term storage kills lesser batteries, this powerful line runs strong when you need it, despite the time off. Because of its lead calcium design, the AGM battery will hold its specific gravity more than three times longer than conventional lead antimony types. And to remain factory-fresh the AGM battery is shipped dry along with its own pack of high-gravity acid that’s added at the time of installation.